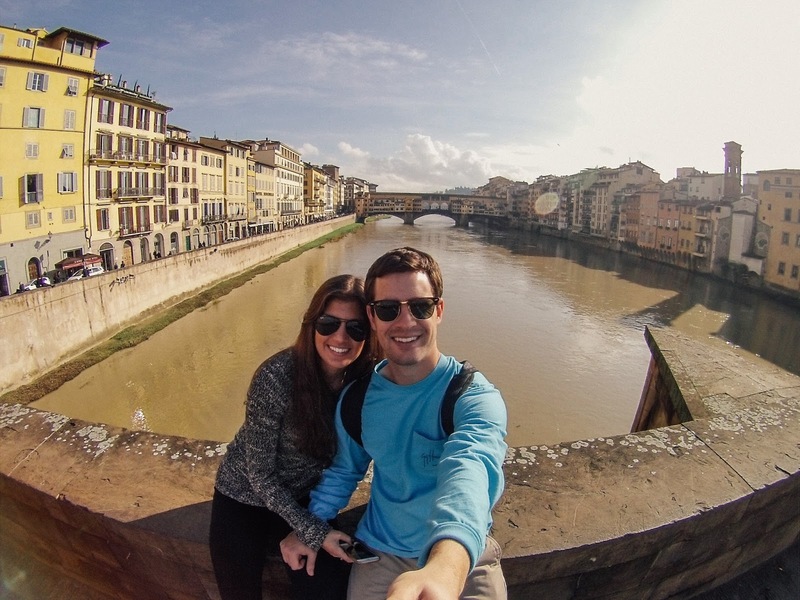 Last but not least, our favorite stop in Italy! 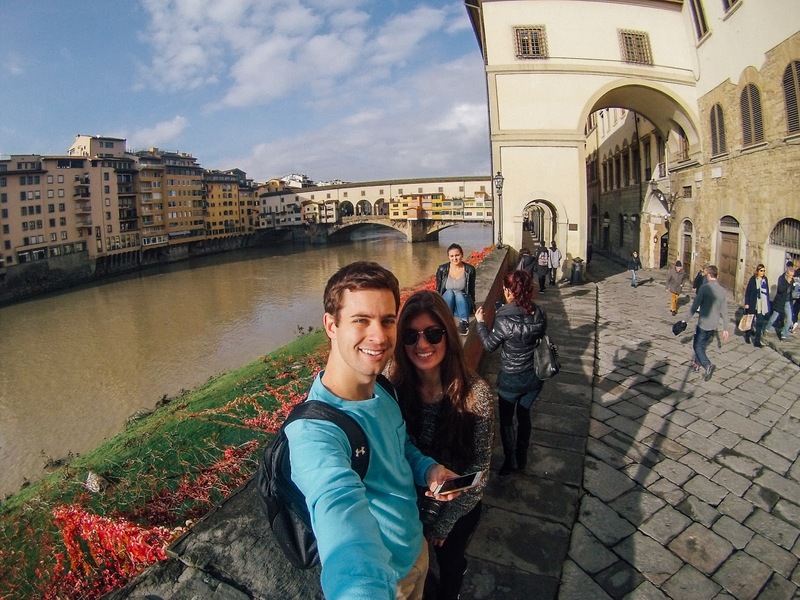 Florence was such a magical city, and we're so happy that we saved it for last. We spent three days exploring the city and it was fantastic. Classic yellow buildings, terracotta roofs and amazing views were just the beginning of this location. Throw in the scrumptious eats and great shopping... you won't want to leave. 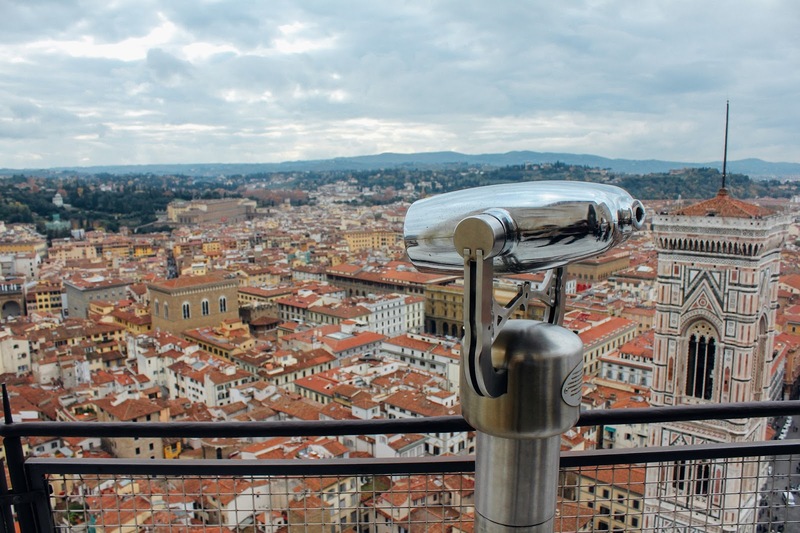 When it comes to Florence, you can see a majority of sights within three days if you plan it correctly. We bought our museum and attraction tickets ahead of time to eliminate waiting in lines. 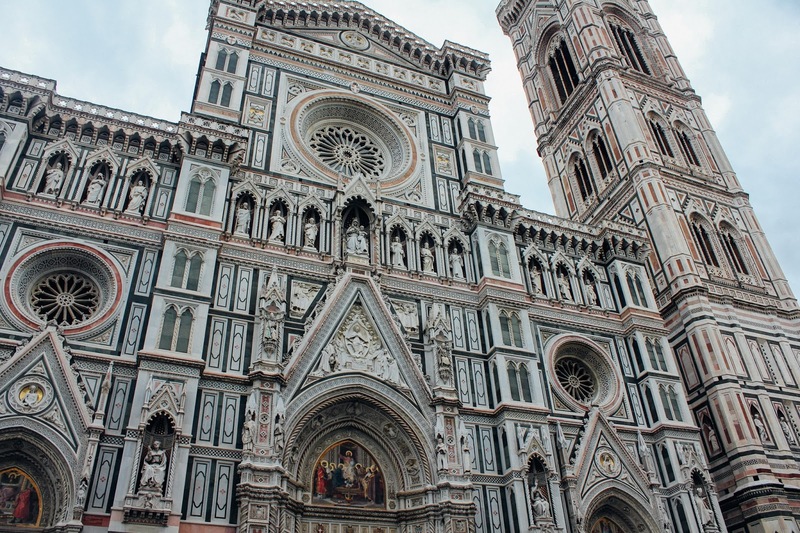 We dined at authentic restaurants and climbed to the top of the Duomo (something that was on both of our bucket lists). To help you plan a bit, below are the places we ate and the things we did in our 3-day visit. ZaZa - We honestly could've eaten here every single day and ordered something different off their menu. This restaurant had so much character and the meals were DELISH. The menu is large with so many types of food, so you won't have to worry about not finding something that you will like. We decided to have a traditional Florentine steak and indulge in a speciality cheese board. You have to visit this place for at least one meal if you're in the area! Gustapizza - This may have been the best pizza I've ever eaten. Perfectly cooked - just the right amount of cheese and the crust had just the right amount of fluffiness - it slid down all too easy. So much so that we debated going back every day for lunch to try a new pizza combination each day. Osteria Pastella - This little mom-and-pop shop was right near our hotel and we decided to wander in one night when we were pinched for time. And boy, was that a good decision. Both Lantz and I ordered pasta dishes. Mine was a creamy salmon pasta and it was so good I almost licked the bowl. The price tag was mighty friendly, too! 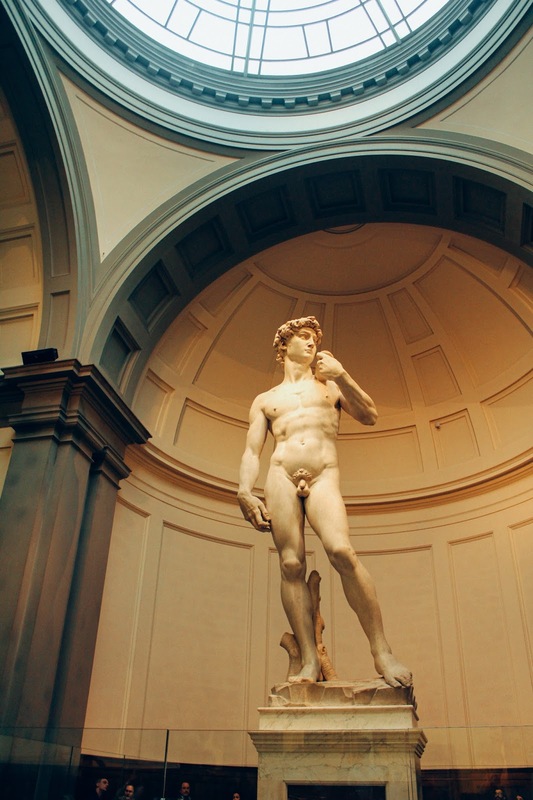 Accademia - Making a visit to see the statue of David is an absolute must! Insider note: for those of you that also aren't museum people, not to worry - this museum is very small and won't take up much of your time. However, to cut down on wait time, get your tickets online in advance! 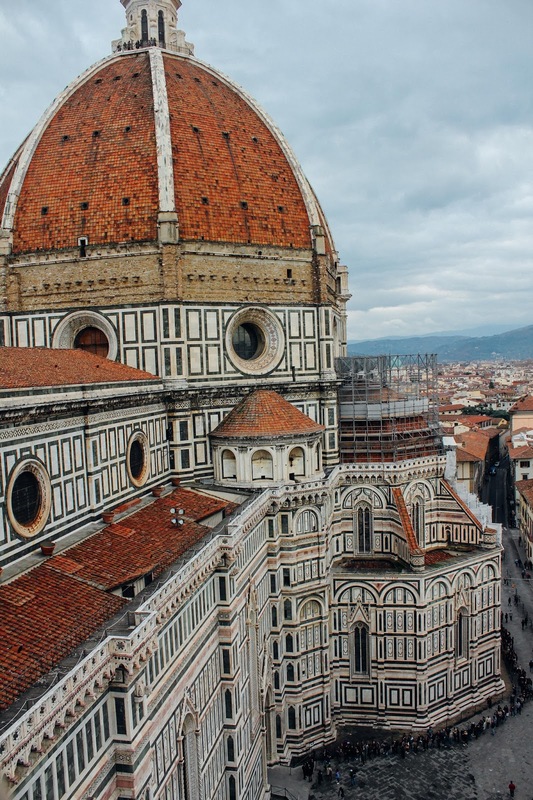 Climbing the Duomo dome and the Campanile -This activity has been on our bucket list for a while and was personally my favorite part of the trip. Perhaps it's because I am one for adventure, but the climb to the top of the dome was so entertaining. Note: if you have an issue with confined spaces, this is probably not for you. The Campanile is just outside the cathedral and offers a stunning view of the dome from the top! 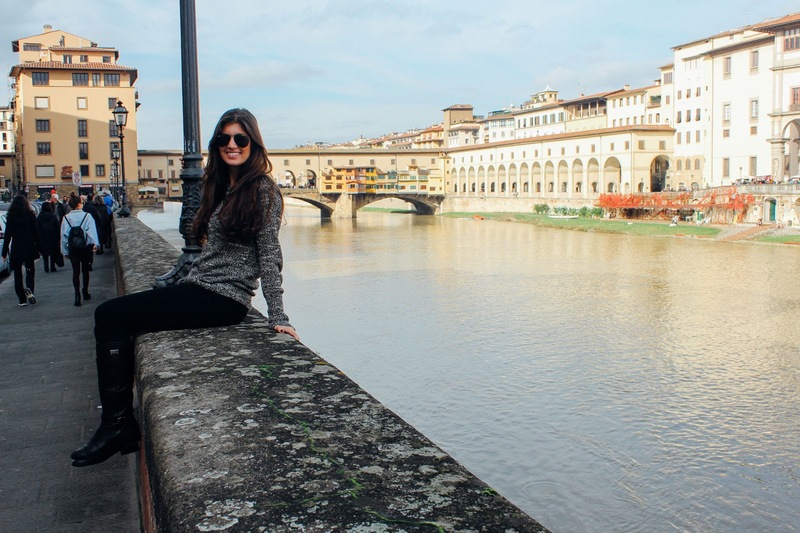 Pitti Palace and the Boboli Gardens - What's an Italian adventure without visiting a palace? You'll love this little outdoor visit! Plus, this area is where you will find Gustapizza - the perfect place to grab lunch after. 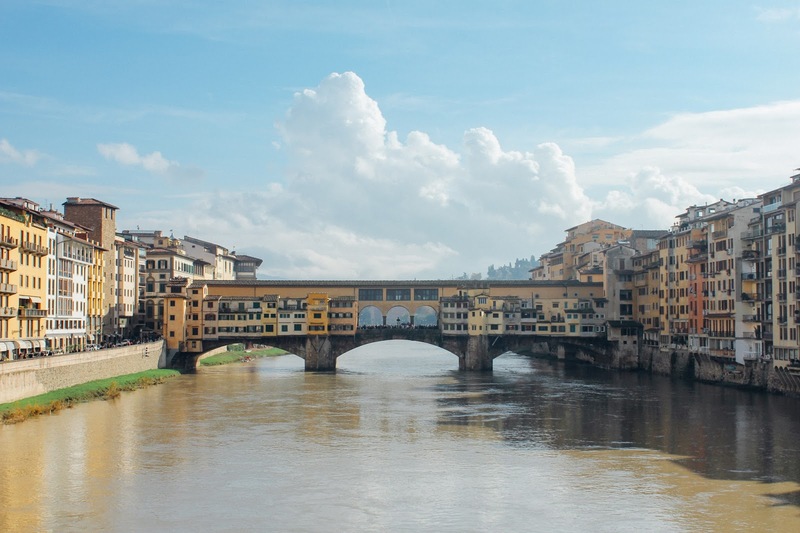 Ponte Vecchio - This bridge turned shop destination is a neat sight to see! 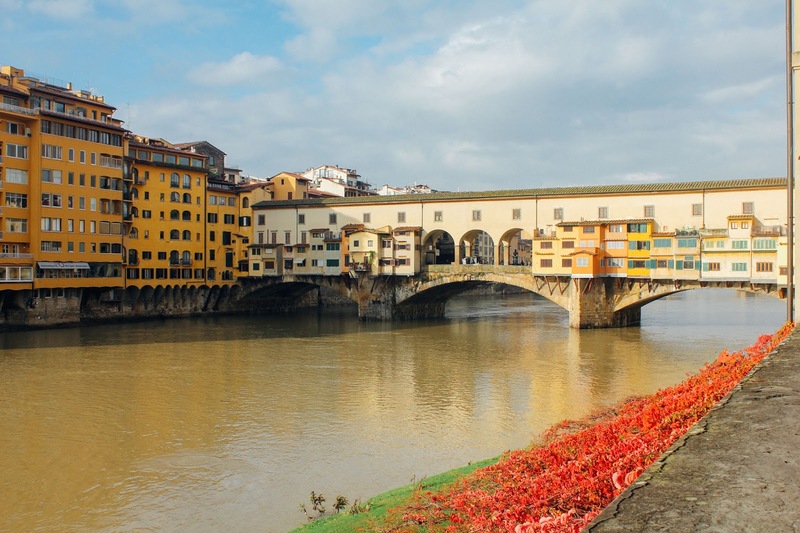 Shop for Italian gold while catching waterfront views of Florence. This iconic spot is a great place to sit down and relax for a bit. 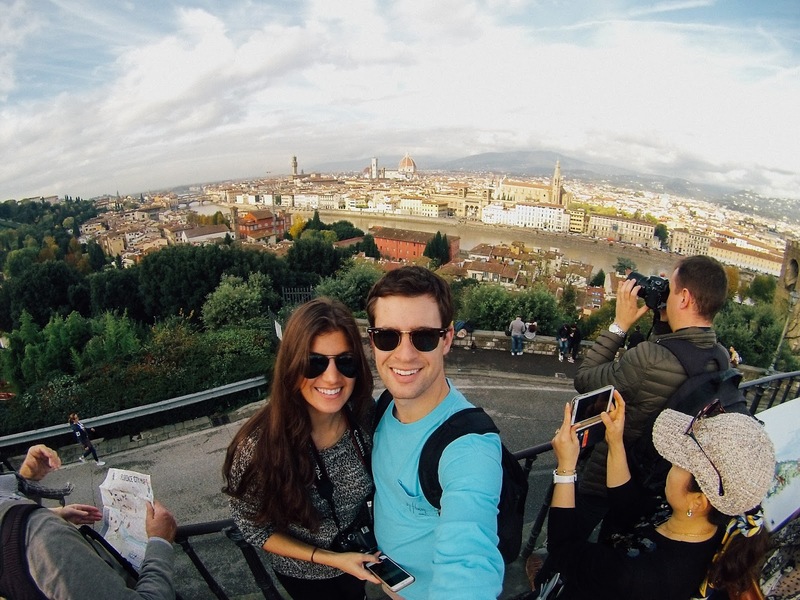 Piazzale Michelangelo - Of all the locations that we visited with views, this topped the list. The walk up to the top is actually pretty fun as you walk through some interesting parts of the city - there are some good looking eating spots all around. You'll have the classic Tuscan vineyard view one way and the brick color roofs on the other. Grand Hotel Baglioni - Though we didn't get to stay at this hotel during out visit, I highly recommend it. 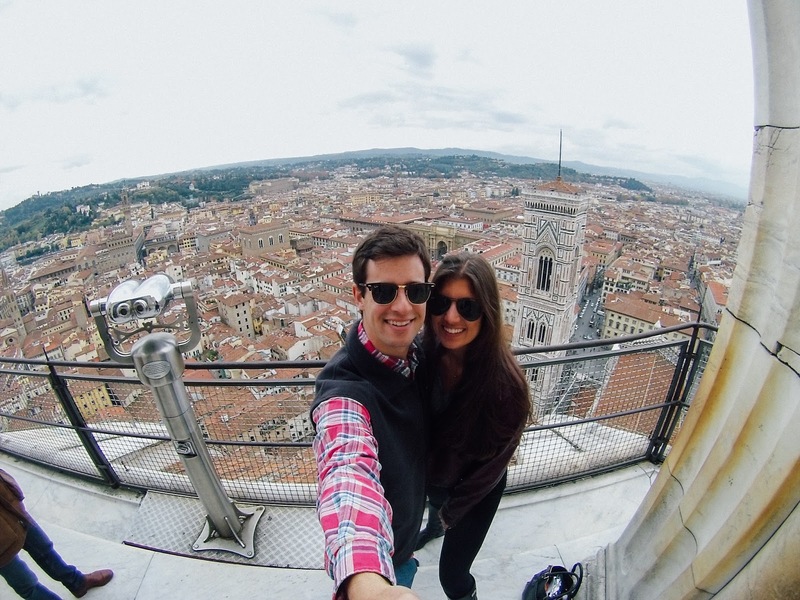 The rooftop restaurant is absolutely breathtaking, and you can see the Duomo from the top. 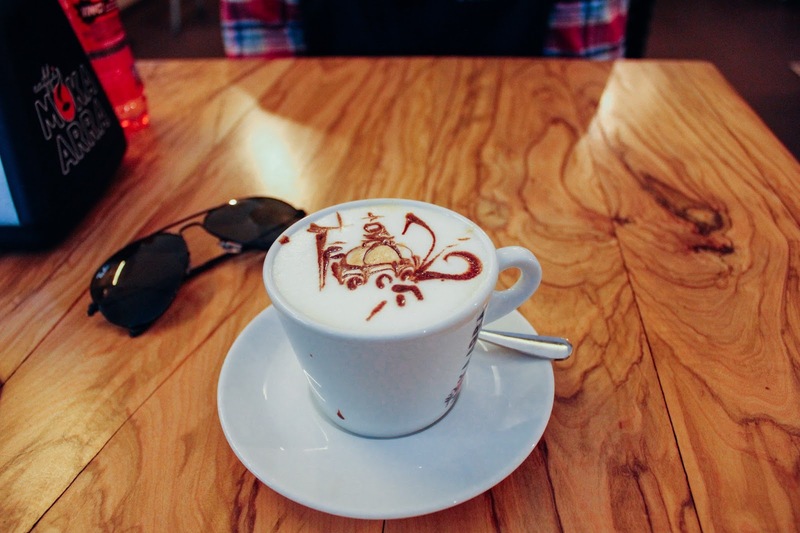 It's central to all the eateries and shopping - exactly where you will want to be. We stayed just down the street from this hotel at Hotel Adler Cavalier. 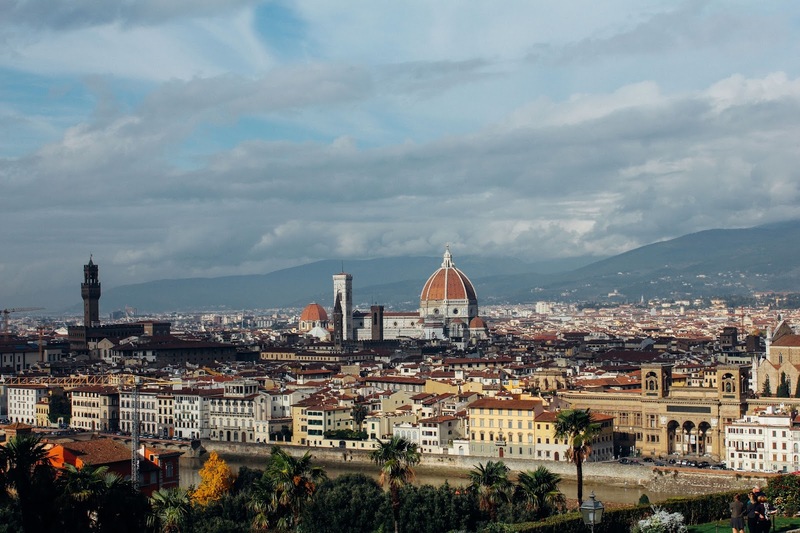 Have any more questions regarding an upcoming trip to Italy? Don't be afraid to reach out and ask! 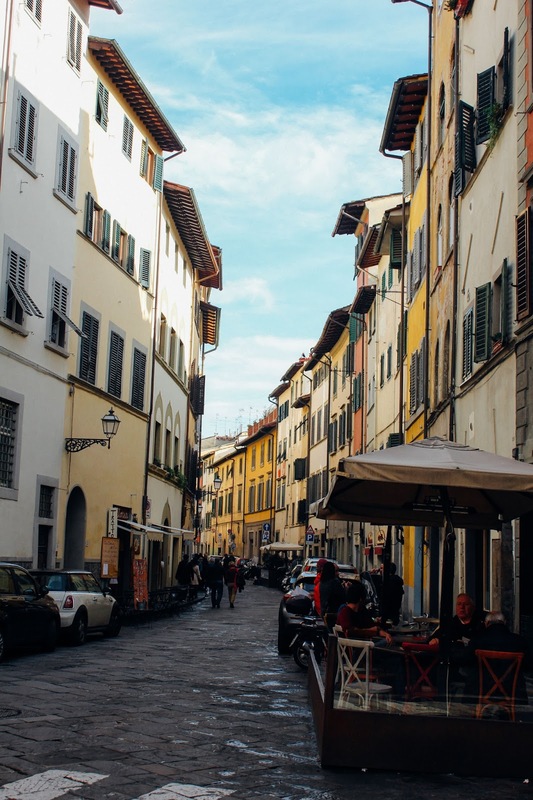 My absolute favorite restaurant in Florence is La Giostra! I still dream about their pear ravioli! These photos are amazing!! Sounds like an incredible trip! I hope to go someday and use your tips! What a beautiful photos and being there was so much I'd love to go there someday with my family. You got so many great shots, felt like I went on a journey with you. Stunning pictures. I cannot wait to visit one day. Thanks for sharing! 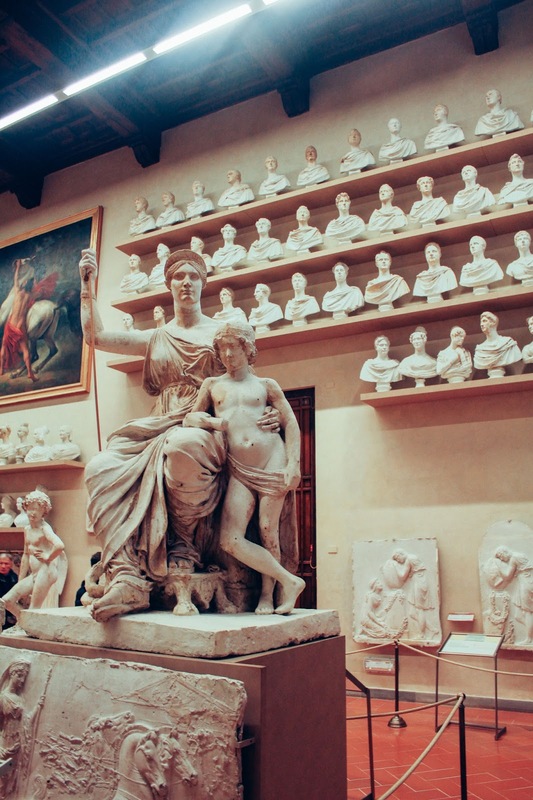 I would love to visit Italy. All these places so absolutely awesome. I love your travel posts! Thanks for the recommendations!